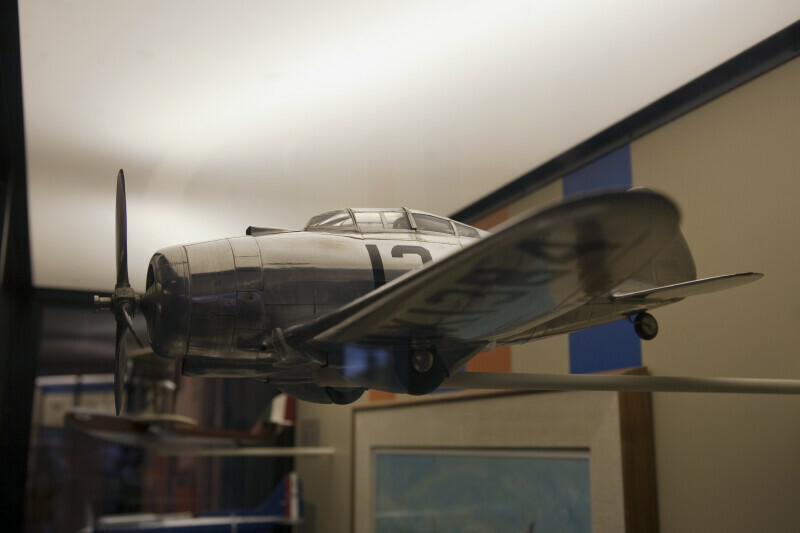 Side view of a Seversky SEV-S2 scale model on display at the Smithsonian National Air and Space Museum. Jacqueline Cochrane won the 1938 Bendix Race in the SEV-S2 (No. 13). The engine is a Pratt & Whitnet Twin Wasp of 1200 horsepower.